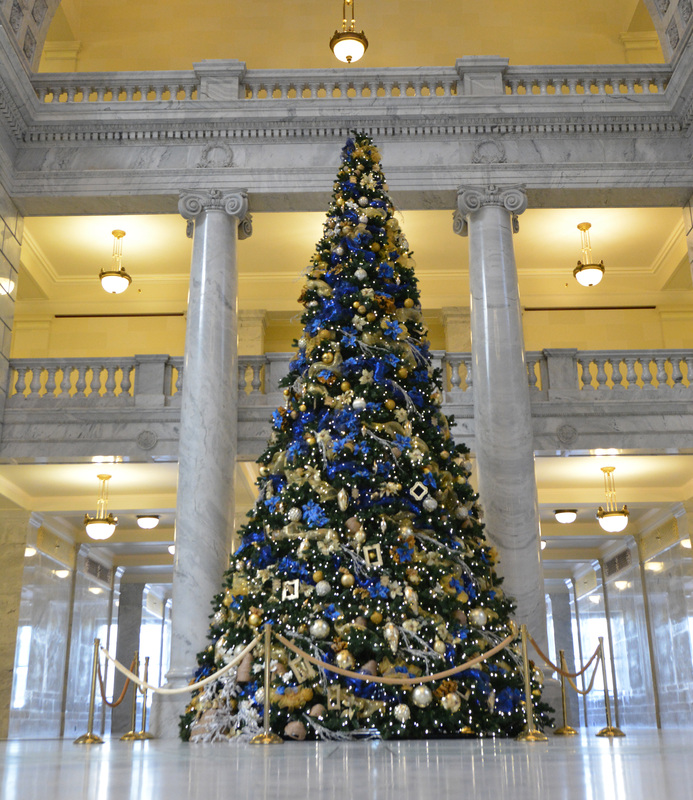 For the month of December, Capitol visitors will find a blue and gold “Beehive State” themed Christmas tree in the North end of the Capitol Rotunda. 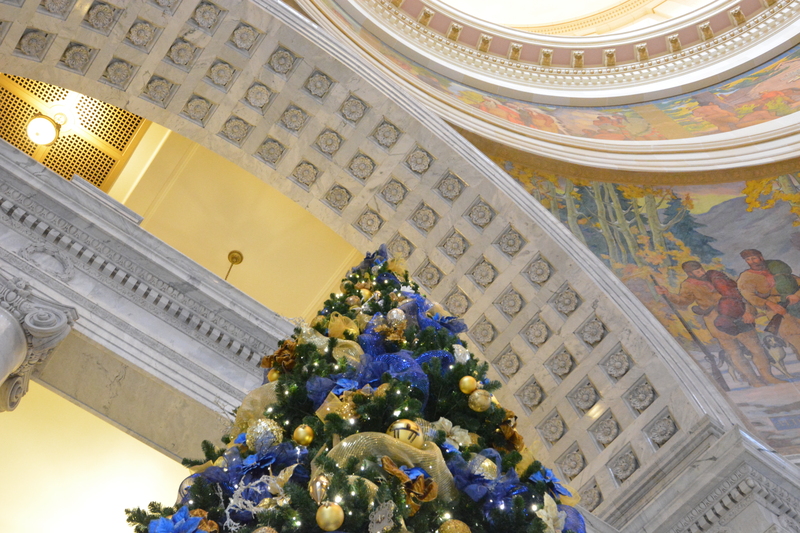 The Utah State Capitol Christmas tree stands 26 feet tall — the same height as the monolithic marble columns that stand behind it. 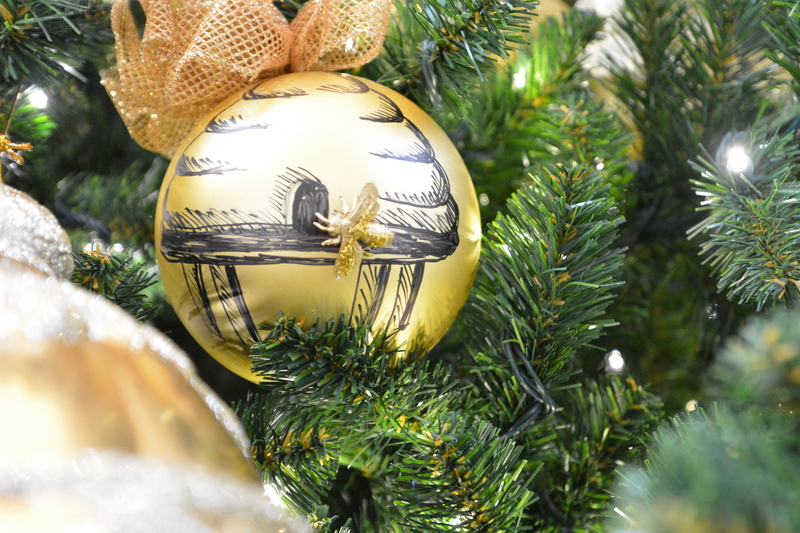 The tree is adorned with hand-painted and hand-crafted beehive ornaments and skeps. Capitol visitors can view the Christmas tree during regular building hours: Monday through Friday from 7 a.m. to 8 p.m. and weekends and holidays from 8 a.m. to 6 p.m.